The next Governing Board meeting will take place on December 12th at 5:30pm in the library. 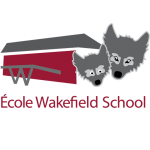 On December 7th our school choir will perform at the Wakefield Hospital. The choir will visit the Manoir on December 11th. WEHSA will be hosting a movie night on November 30th. Details will follow. PARENT/TEACHER INTERVIEWS Interviews take place on Thursday, November 22nd from 3:30-8pm and Friday, November 23rd from 8am-3pm. You will be meeting with your child’s teaching team to discuss their progress. WE DAY A group of students will attend WE Day on November 14th. WE day is an annual youth empowerment event which motivates youth to take action on both local and global issues. DENTAL HYGIENIST The dental hygienist will visit the Grade 1 and 2 students from November 14th -22nd.